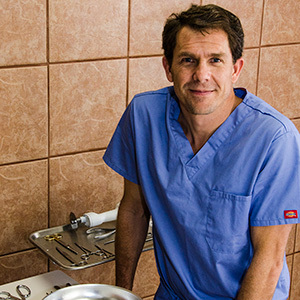 Dr. Spangler is a 2000 graduate of the University of Illinois, School of Veterinary Medicine. After a small animal internship with the Sacramento Animal Medical Group (SAMG) he practiced for one year at Midtown Animal Clinic in Davis, CA. He then trained for three years as a resident in anatomic pathology at UC Davis. Taylor was boarded in 2005 by the American College of Veterinary Anatomic Pathologists, and in the same year joined the pathology staff of VDx. Dr. Spangler has over 10 years of consulting experience with medical device companies and has been involved in hundreds of preclinical studies, over 100 GLP studies and has supported many successful FDA submissions including IDE, PMA and 510K applications. As a device pathologist he provides assistance with protocol development and review, device explant with comprehensive necropsy evaluation, appropriate tissue sampling and handling, sample processing and histology preparation, histopathological analysis, photomicroscopy and detailed pathology interpretation and reports. He has worked in a wide variety of specialty fields and continues to work closely with many CRO animal research facilities in the Bay Area, Sacramento and around the country.